Give or take a few points, William Hill U.S.' latest 2019 Kentucky Derby odds fall in line with what we saw on the board Sunday as Pool 4 of the Future Wager closed. With betting open in Las Vegas, William Hill is taking little risk on the big names with Game Winner and Maximum Security both 5-1, remaining co-favorites for another week. The Santa Anita Derby (G1) winner Roadster dropped to 6-1 along with Blue Grass (G2) hero Vekoma. Tacitus, who won the Wood Memorial (G2), is 8-1. But the intriguing prices are on some of the Derby's unknowns, namely Master Fencer, whose connections accepted an invitation to become just the third horse based in Japan -- and first horse bred there -- to try the Kentucky Derby. Master Fencer opened at 100-1 at William Hill. With the announcement of his participation in the Derby coming on Saturday, he did not make it into the final Future Wager pool. Campaigned by Katsumi and Yasuyo Yoshizawa, the son of Just a Way is trained by the former jockey Koichi Tsunoda. 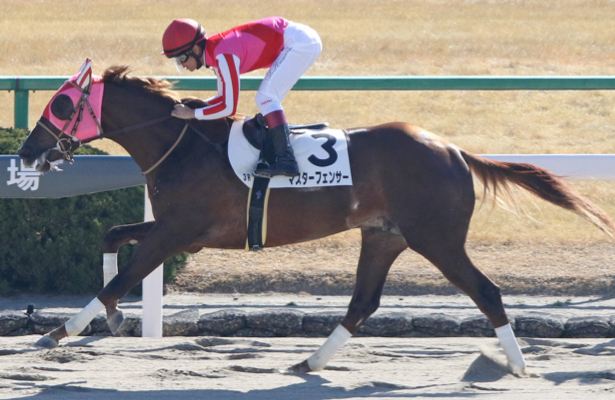 Master Fencer accumulated his 19 "Japan Road to the Kentucky Derby" points via a fast-closing second in the March 31 Fukuryu at Nakayama Racecourse and a fourth-place finish in the Geb. 17 Hyacinth Stakes at Tokyo Racecourse. In every way, Master Fencer looks like a longshot. He could very well go off at higher than 100-1 on Derby day. But if you know something about the colt, and expect him to impress with training at Churchill Downs that could build the hype machine, this triple-digit price may be worth playing. Other value left on the shrinking William Hill U.S. board comes with horses that haven't run their final preps, or still need points to qualify for the Derby. Sueno, at 60-1, maintains a high price ahead of Keeneland's Lexington Stakes on Saturday. The Steve Asmussen-trained Jersey Agenda and Laughing Fox are both 150-1 and bound for the Arkansas Derby. His Tikhvin Flew is even higher, at 175-1.